CodeDigital specializes in the installation, administration, monitoring and security of small to medium-sized business networks. CodeDigital has extensive experience with the installation and configuration of Linux and Windows servers, including web, email, database, VPN and firewall services. We offer free 24x7 network monitoring to all of our customers, as well as a free network vulnerability assessment to determine the extent of your network and server weaknesses. CodeDigital also offers a line of robust servers to fulfill all of your business internet needs. 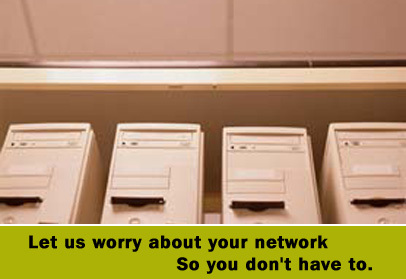 All of our servers include free installation and configuration in addition to free 24x7 network monitoring.